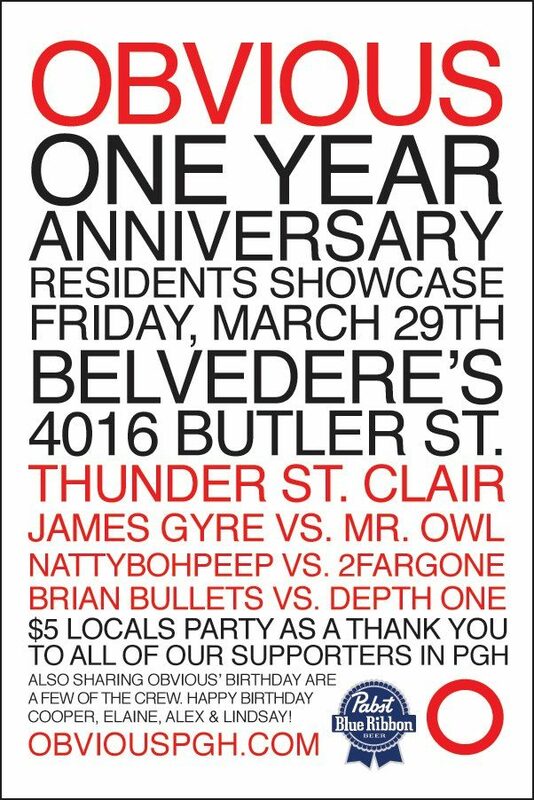 As a thank to all of our supporters, we would like to celebrate our one year anniversary by honoring our local residents in a showcase. Pittsburgh people make Obvious possible, so what better way to celebrate than to have your favorite Pittsburgh-based Obvious residents under one roof. Also sharing Obvious’s birthday is a few of the crew. Happy birthday, Cooper, Elaine, Alex, and Lindsay! This entry was posted on March 22, 2013 by dominantforce. It was filed under Shows .